40x30mm. 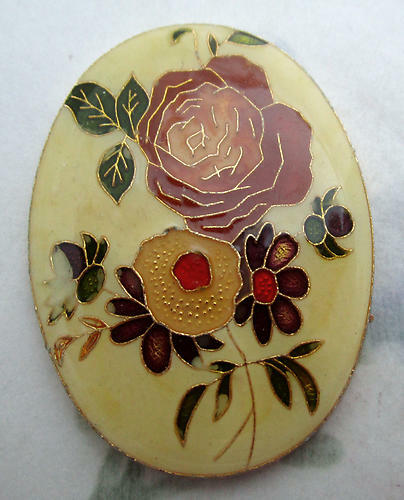 Vintage resin cloisonne over aluminum floral flower peony cabochon from Japan. These will all have slight variations and minor flaws, such as colors not staying within the lines. New old stock. Jewelry supplies.